It felt great waking up this morning knowing that I didn't have to run. My legs were a little sore, but within a couple of hours, I was feeling almost back to normal. I'm shocked! 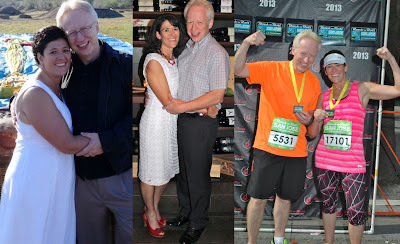 A lot of people have asked me if I'm going to write my thoughts on the Hansons Marathon Method; I definitely plan to, and I'll probably post that tomorrow. For now, let's check out these motivating people! Carly and her friends did their first double-digit run--10 miles!--this weekend. They are training to run their first half-marathon next month! While at the gym a few months ago, a trainer asked Danielle if she'd like to join a Tough Mudder team and run the Tri-State Tough Mudder in NJ. Danielle was excited to challenge herself, so she accepted. 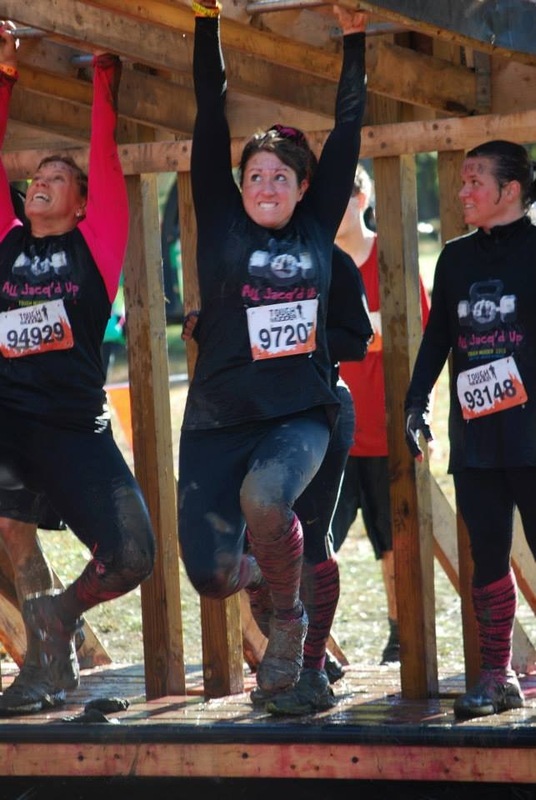 This weekend, her team competed at the race, and 11-mile course with obstacles such as monkey bars, fire, getting shocked by live wire, crawling under barbed wire, and lots of mud! She felt great throughout the race, and was thrilled when her team completed the course. 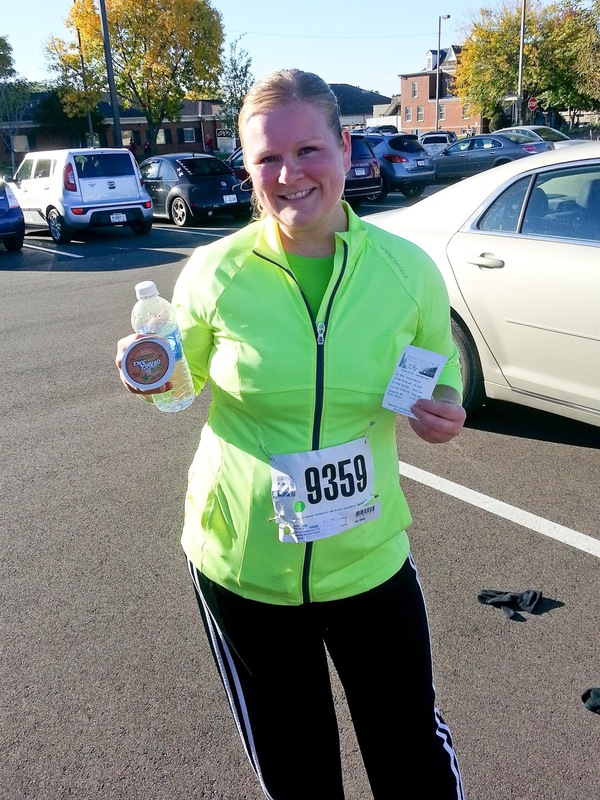 Erica ran her first 5K race! Her goal was a 31:00-31:30 finish time, and she ended up killing it in 29:52! She was thrilled with her time, especially considering the very crowded course (15,000 people) and a big hill. Rachel ran her second 5K, and to her surprise, won first place in her age division! 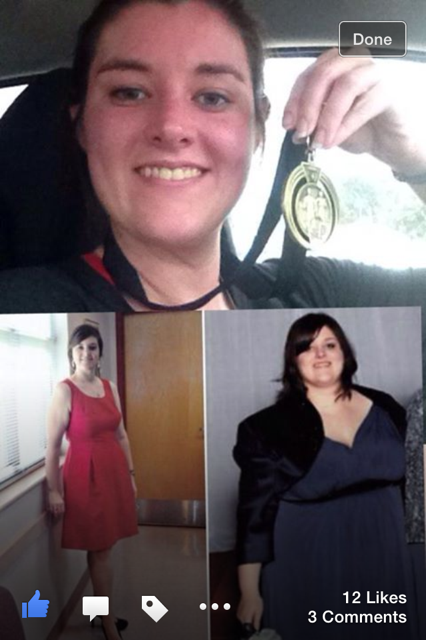 She's lost 118 pounds so far, and has just 7 left to go. The photo of her in the red dress was taken for a story in her local newspaper about her weight loss! second 5K race, which will be in January. 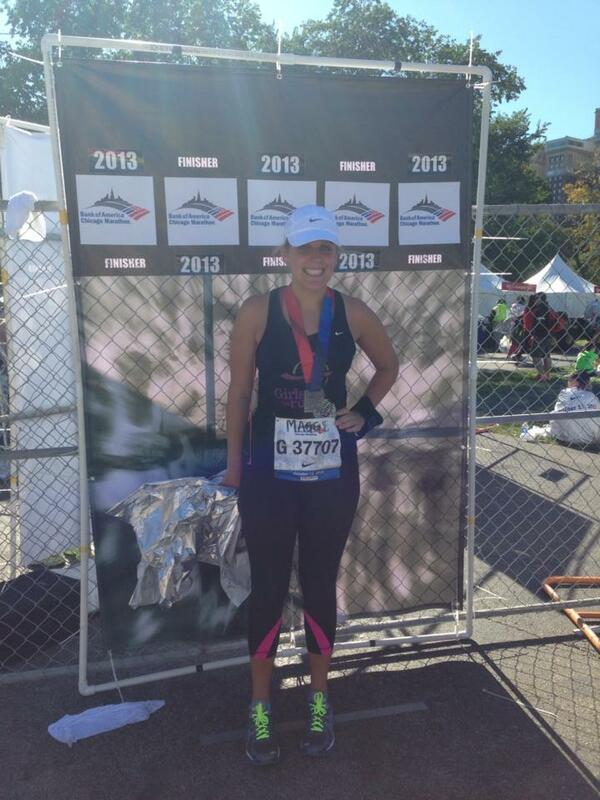 Maggie ran her first marathon yesterday--in Chicago! She raised $1100 for Girls on the Run, an organization that does after-school programs for girls in grades 3-8, to encourage friendship, leadership, and self-confidence. She said the feeling she had while completing the marathon was the exact same feeling of the girls when they finish their first 5K. She was super proud to cross that finish line! Don't forget to check out the Motivational Monday Facebook post, for more inspiring stories! Congratulations on Chicago! I'm eager to read you talk about your feelings on the Hanson method, because I'm in week three of Hansons right now. Congratulations on running Chicago! 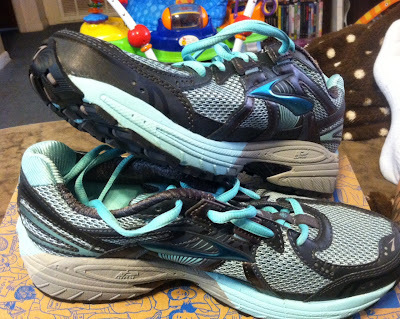 Have you ever written a post on how you train and continue to lose weight on WW? I am training for Disney and I am a week into WW and I am worried about the hunger that is going to set in with training. Do you eat all your activity and weeklys? I am trying not to but I am not sure the right course of action. Any advice you have would be great! my husband ran chicago this past weekend. what a great event. today i came here to get motivated to start back up. what a happy post to start with! Wonderful victories to everyone this week! Thank you so much for posting this every week!! This is a great inspiration to start your week off strong! All these bright smiling faces are so motivational! Nothing can say it better than realpeople who done it. I was too sick on Monday to come and read Monday's Motivation. Oh how I love Mondays lol. All inspirational people.